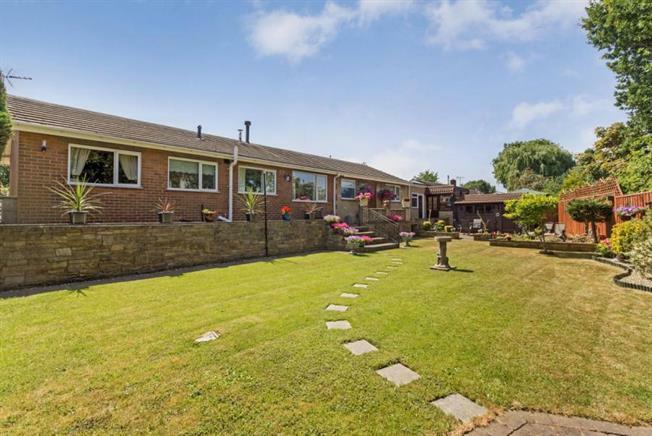 4 Bedroom Detached Bungalow For Sale in Sheffield for Guide Price £250,000. Immaculately presented Four Bedroom detached Bungalow situated down a no through road the property has been significantly refurbished and occupies a larger than average plot with generous off street parking, Garage and superb larger than average Gardens to the rear. In brief the accommodation comprises; Entrance hall, Superb living room with feature 8kw wood burner, Breakfast Kitchen, separate Utility, Four generous Bedrooms and a modern family Bathroom and shower room. The property stands in beautifully maintained landscaped gardens with generous gated driveway to the front leading to the Garage and Carport with garage door. To the rear the stunning garden has a patio area for alfresco dining.